The four-day Monaco Yacht Show 2011 came to an end last week with a showing of 100 outstanding superyachts presented by the most prestigious yacht brokers and shipyards. Asia Tatler selects some of the most outstanding pieces from the show. Designed by the whimsical designer Thierry Mulger, the new design of the Spire Boat (the original Spire Boat is also the 2007 winner of the Vice World Champion) made its world debut at the Monaco Yacht Show, and has been given a complete makeover. 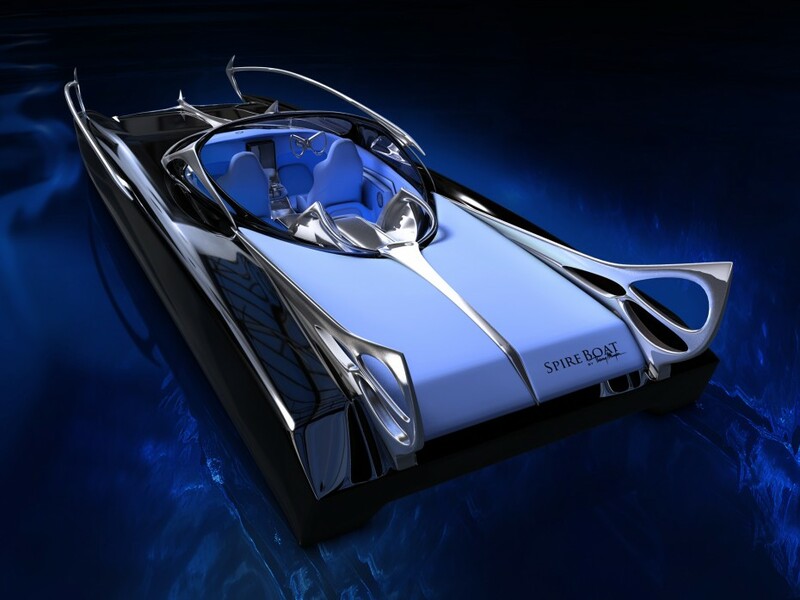 The 9.5m four-seater speedboat takes inspiration from the muscle cars of the 1950s. With the collaboration, the new Spire is now turned into a stunning retro-futuristic masterpiece. Thanks to its lightweight design, the boat can travel with a speed of up to 90 knots, and comes with a choice of two engines, 200hp to 350hp. Click here to learn where you can take sailing classes in Hong Kong. Each year the Monaco Yacht Show awards the most innovative, greatest and distinguished yacht design with the Prix Du Design award. This year, the prestigious award goes to Satori, created by Heesen Yachts and its interiors designed by the award-winning French designer, Rémi Tessier. 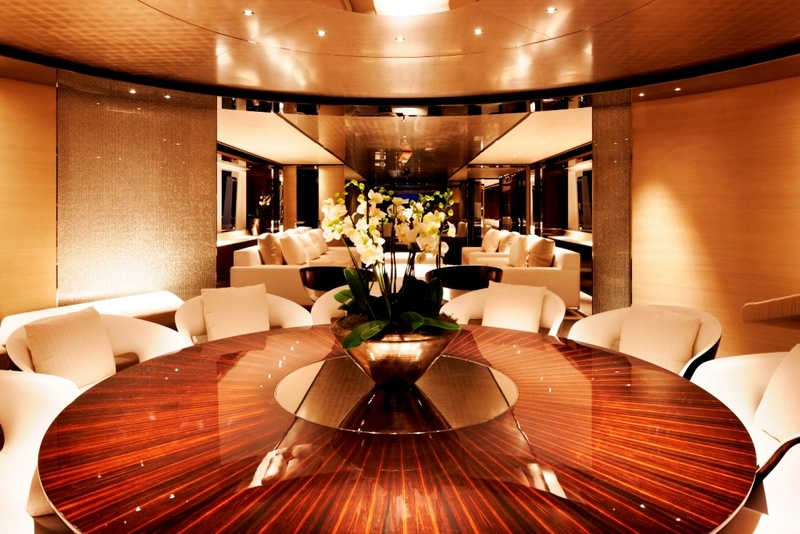 The elegant interior of the yacht is extremely refined with great attention paid to every detail. For example, it has palladium-leaf ceilings and custom glass panels installed in its dining room that can slide across the front of the room to lend privacy to its owners. With the gross tonnage of 44 GT and a top speed of 24 knots, Satori is also one of the fastest 50 metre yachts on the market. 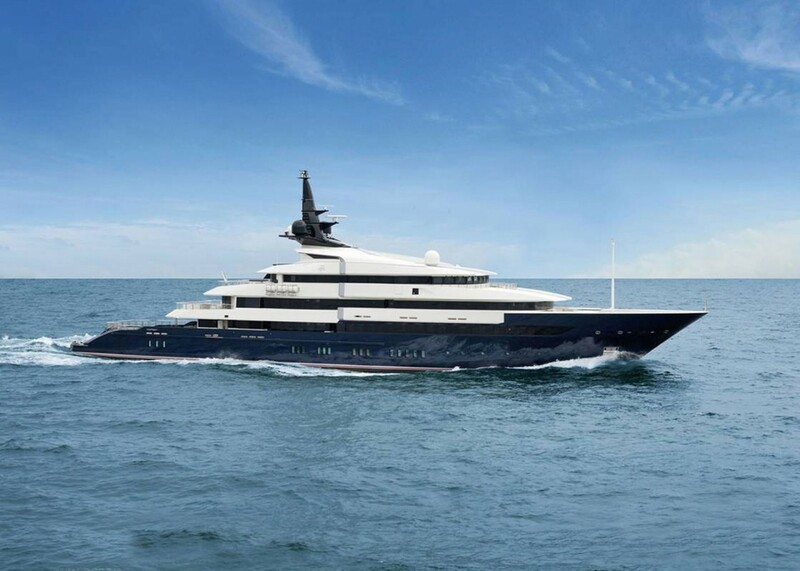 The Seven Seas, delivered by Oceanco, is the largest superyacht exhibited at this year’s Monaco Yacht Show. Designed by Nuvolari & Lenard, Azure Naval Architects and interior decorator, Molly Isaksen, Sevens Seas is an 86.01 metre motoryacht that consists of seven cabins to hold 12 guests along with a crew of 23 members. Built in a distinctive contemporary style, it also features the signature Oceanco infinity swimming pool on the aft deck that can be transformed into a helipad. The superyacht is also equipped with the latest audio-visual entertainment systems and the most advanced communications systems. Powered by 680 hp/3,492 kW MTU engines, this massive beauty can reach speeds of up to 20 knots, providing both performance and comfort. Find out where Hong Kong's top marinas are here. Another tank at the Show would be the Hemisphere, the world’s largest sailing catamaran. Exhibited by Pendennis and Burgess, the Hemisphere is 44.2 metres long with a 53 metre high mast and a gross tonnage of just under 500 GT. Its shallow draft facilitates easy access into ports, lagoons and dive sites that cannot normally be reached by monohulls his size. 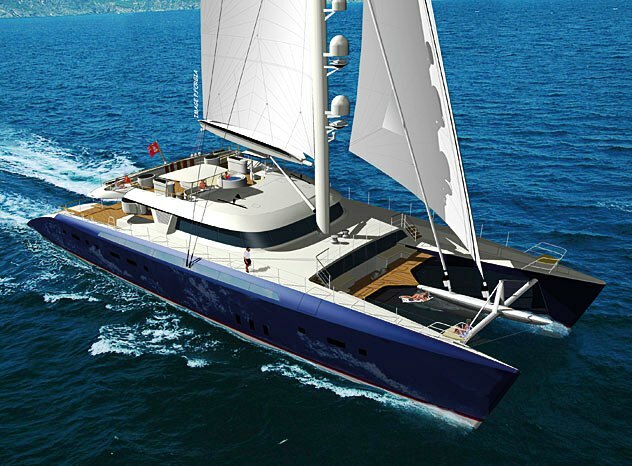 Along with it great size, naval architects VPLP has fitted the catamaran with a jacuzzi and a sundeck, along with extremely spacious interiors to make it a unique luxury sailing experience. It can accommodate up to 12 guests in five comfortable luxurious ensuite cabins and a professional crew of eight. 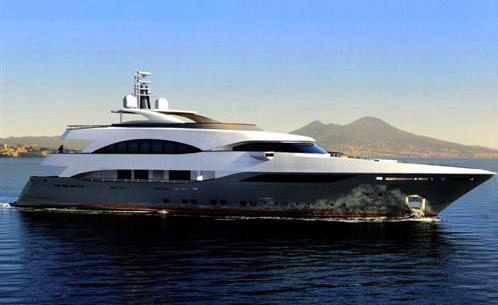 The Columbus 177 Prima is the first superyacht built by the new Italian shipyard Palumbo. It is one of the few yachts that are granted with the Green Plus RINA certification. The certification is given to boats at the Monaco Yacht Show that reflect a significant investment in design solutions and onboard equipment that contribute to an improvement in environmental performance beyond the minimum requirements set by international regulations. The Columbus 177 Prima is a 53.9 metre motoryacht that offers a range of 500 nautical miles at 12 knots with a maximum speed of 18 knots and a cruising speed of 16 knots. Powered by two 2360hp MTU diesel engines, it has lower fuel consumption as compared to other yachts of similar sizes and gives out less noise. Designed by Spadolini Design Studio, its guests, owner and common area covers 350 square metres and are furnished with Italian marbles, woods, leather and drapery of the highest quality. 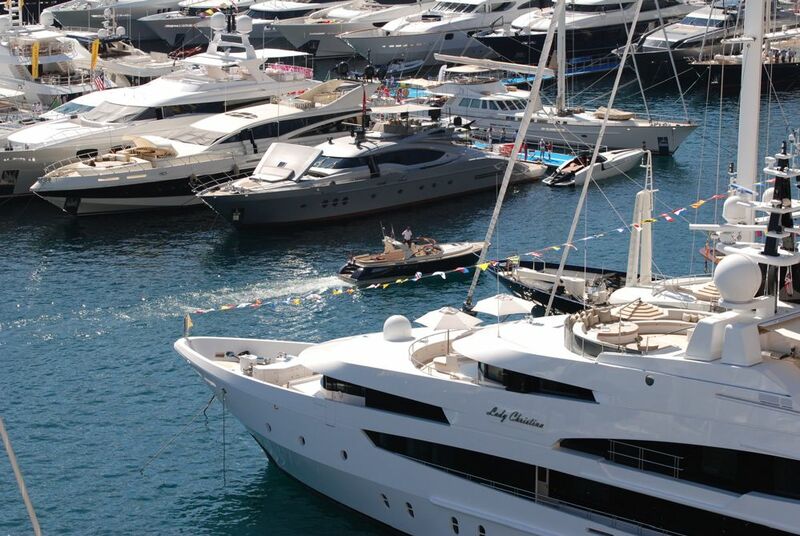 Photo credits to Monaco Yacht Show 2011 and respective yacht producers.